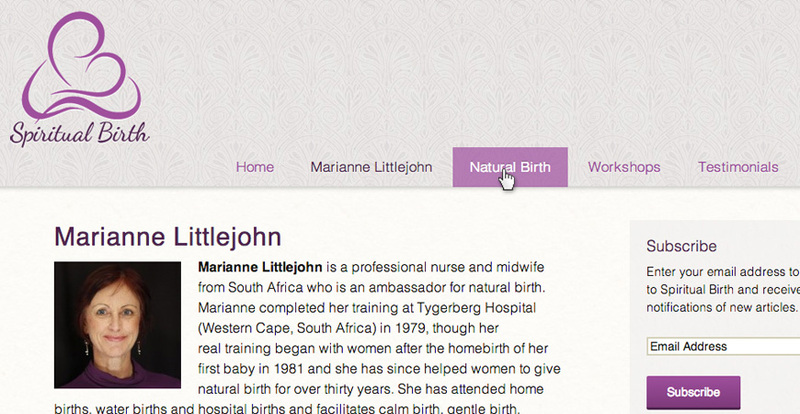 A midwife in South Africa for over 30 years, Marianne Littlejohn conceived Spiritual Birth as an educational platform for her to share her knowledge and experience about childbirth, allowing colleagues, readers and potential clients from around the world a way of contacting her and sharing information. Designing her logo and website was one of our first projects. 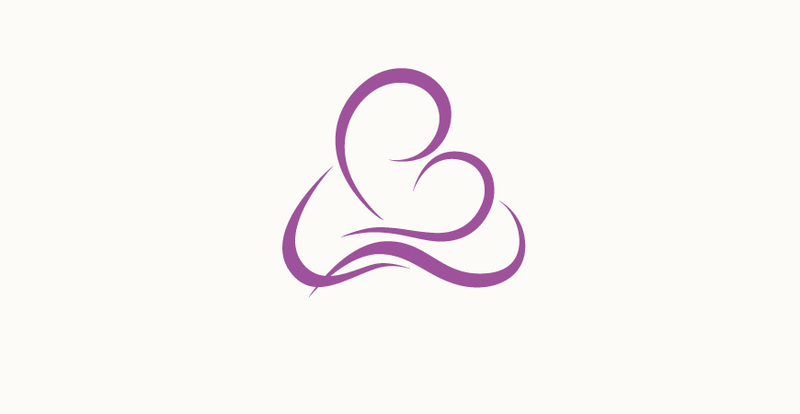 Marianne wanted a logo that depicts a mother and child in a loving, supportive and protective embrace. Gentle flowing lines are used alongside a brush-type cursive script typeface to maintain a soft, gentle feeling, while the triangle shape which the logo forms reinforces motherly strength and support. The line thickness took a while to get right so that the Spiritual Birth logo works well in a variety of sizes and colour, as well as monochromatic black or white applications. 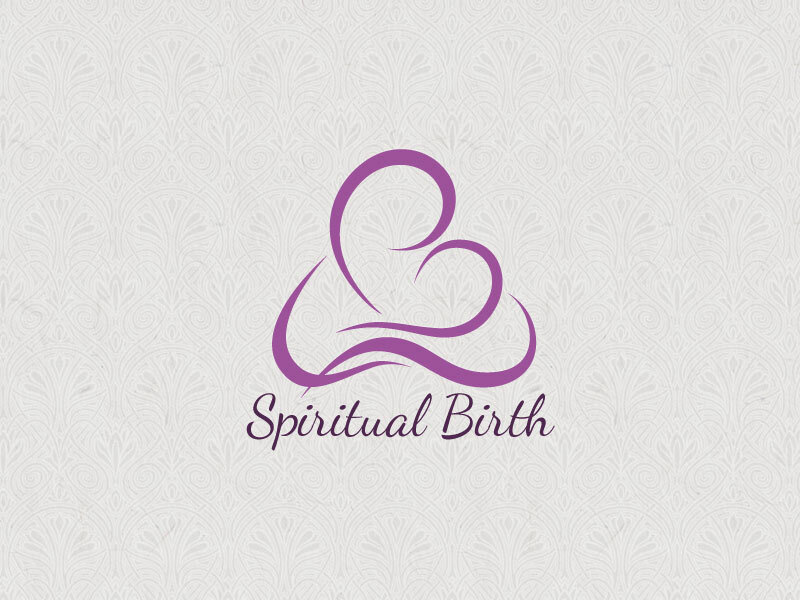 The Spiritual Birth brand has been applied to her website and social channels as well as stationary. 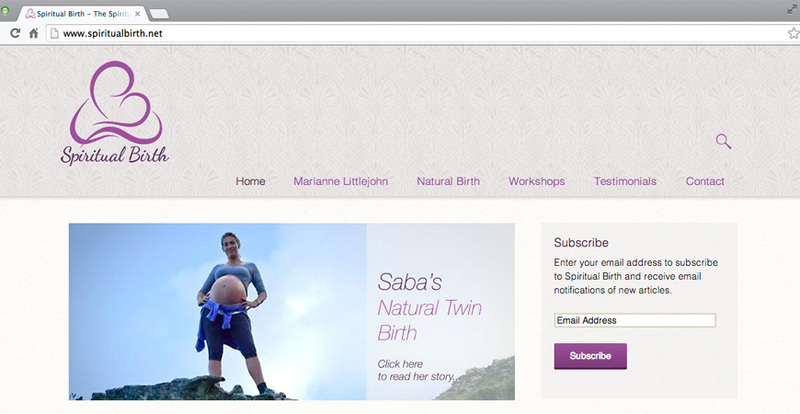 The Spiritual Birth website was built around the WordPress CMS, chosen for its ease of management. This allowed Marianne the ability to share regular articles and posts as well as details for workshops and events with her readers. The Spiritual Birth site has been SEO optimised and attracts a large number of readers every month from the USA, Canada, South Africa, Australia, the UK and across Europe. 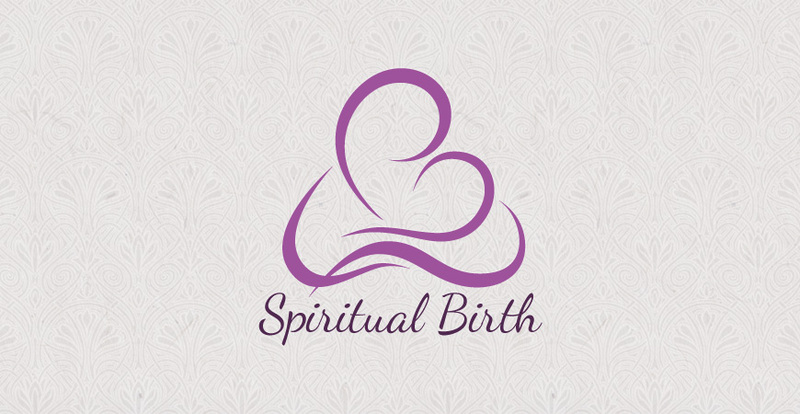 With over a hundred articles now published, the www.spiritualbirth.net website has navigation via category, tags and, most importantly, a fully functioning search function to help people find what they are looking for on the site. This large body of Marianne Littlejohn’s unique writing has helped make Spiritual Birth a well-known source of information for expectant parents, doulas and midwives the world over.